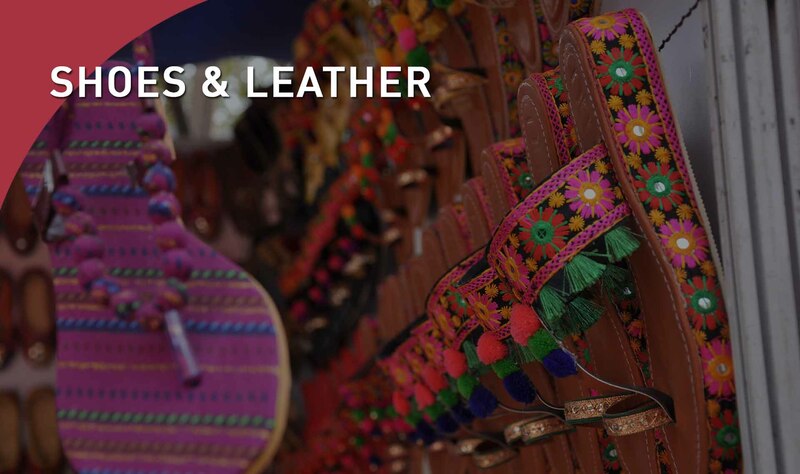 Agra is famous for leather products and shoe making, with well-crafted shoes in all price ranges, made for men and women. The shoes made for women can be embellished with beads, embroidery, and fabric to make designer footwear and chappals. These are made for domestic users and exports. Agra has the biggest leather footwear manufacturing hub in India, with many small scale industrial units. The industry is facing challenges due to cheaper imports, as well as domestic concerns such as rise in raw material prices.